Anyone who’s ever hiked to the bottom of the Grand Canyon and back knows the trek is usually followed by a couple of days of sore muscles. But, no creature probably knows that better than the Canyon’s legendary pack mules. For more than 100 years, they’ve been hauling supplies and tourists in and out of the Grand Canyon. And now, one man is bringing them some relief. 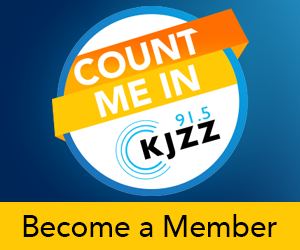 Arizona Public Radio’s Gillian Ferris Kohl reports. GILLIAN FERRIS KOHL: When Rene Noriega retired a few years ago after a long career as a Border Patrol agent, he felt there was only one thing to do next. RENE NORIEGA: I learned to do massage. FERRIS KOHL: If that’s not what you were expecting, there’s more. Noriega learned to work not on humans, but on horses. He is an equine physiotherapist and his specialty is high-performance horses. But through a chance meeting a couple of years ago with a Grand Canyon mule wrangler, Noriega got the opportunity to expand his clientele. NORIEGA: I had no idea what a mule was built like, so I had to go back and educate myself on the mule before I came up here so they wouldn’t eat me alive. They’re all old cowboys. FERRIS KOHL: For the last year, Noriega has been giving massages and chiropractic adjustments to the Canyon’s famous mules. On this cold morning at the South Rim, he’s set to work on several dozen of them. Noriega says mules are much sturdier than horses. They can carry as much as 35 percent of their own weight. But that strength doesn’t make them immune to the soreness that can come from hiking in and out of the Grand Canyon a couple of times a week. NORIEGA: Since these guys can’t talk to us except for showing us, it’s up to us to decipher what they’re doing. If I’ve got an issue in the foot, it could be a symptom of something going on somewhere else in the body. FERRIS KOHL: Nearly five million people visit the Grand Canyon each year. And many of them take mule rides to the bottom. When you combine a long, steep hike with up to a 200 pound passenger load, it’s no wonder these animals are prone to stiff muscles and injuries. But after a year’s worth of body work, Noriega says many are starting to show improvement. They’re getting stronger, more agile. Even their dispositions are changing. NORIEGA: There’s a couple of them that see me and they get excited because they know that’s all I’m gonna do is come in and work on them and make them feel better. At the same time, you get some of the mules that say ‘Oh my God, there’s Rene, I hurt right here and I don’t want you to mess with it’. FERRIS KOHL: 9-year-old Maude is one of those mules. Inside a barn at the South Rim, Noriega works on her sore legs. NORIEGA: What I’m doing right now is just stretching the muscles, so that…there you go, sis…so that once we get a stretch, I can release the pressure on it. FERRIS KOHL: Livery Manager Max Johnson watches from a folding chair in the warm barn. It was Johnson who offered Rene Noriega the job of working on the mules when they met at an equine health clinic in Tucson two years ago. MAX JOHNSON: We knew that we had mules that were sore, shoulders, hips. And he said he would work on them and he didn’t lie. He darn sure can. FERRIS KOHL: For the last year, Johnson and several other Canyon employees including his wife, Sue, have been keeping detailed notes of each mule’s sessions with Noriega. SUE JOHNSON: Truman needs to rest for a week. And, Berta had a tight front end, and her right knee was out. And Beatrice, yesterday, she had sore shoulders, sore left hip, saddle sore, one of the guy’s saddles does not fit her so he won’t be able to use his saddle anymore. FERRIS KOHL: This might sound like a lot of pampering for a bunch of dusty mules. But, the Johnsons believe the work the animals do in the name of tourism and their celebrity status at the Canyon warrant the attention. MAX JOHNSON: Yeah we’re in the business for tourists, but they’re not my top priority. I mean not getting them hurt, yes. But, these mules are my top priority. That’s what I’m here for and it’s been working so far. FERRIS KOHL: Maybe, for mules like Maude, their ornery reputation is underserved. Maybe all they really need is a good massage. NORIEGA: I think she’s ready to go back into service, she’s feeling pretty good right there…good girl. FERRIS KOHL: In Flagstaff, I’m Gillian Ferris Kohl.